If you are looking for a space that will stand out in the Mumbai landscape and will provide memorable experiences every single time, then Keiba in Mahalakshmi Race Course should be your go-to spot. With equal emphasis being put on both food and drink, Keiba is the place you can come to for a delicious, authentic meal followed by a night at the high-energy bar. By making sauces in-house, importing fresh produce such as forbidden rice from China, making their udon noodles and yaki soba in house without any preservatives and ensuring optimum conditions for freshness and flavour, Keiba definitely stands out in terms of quality and authenticity. Try out their delectable dim sum, crispy cheung fun, fresh maki rolls and sashimi and inspired main courses and desserts. 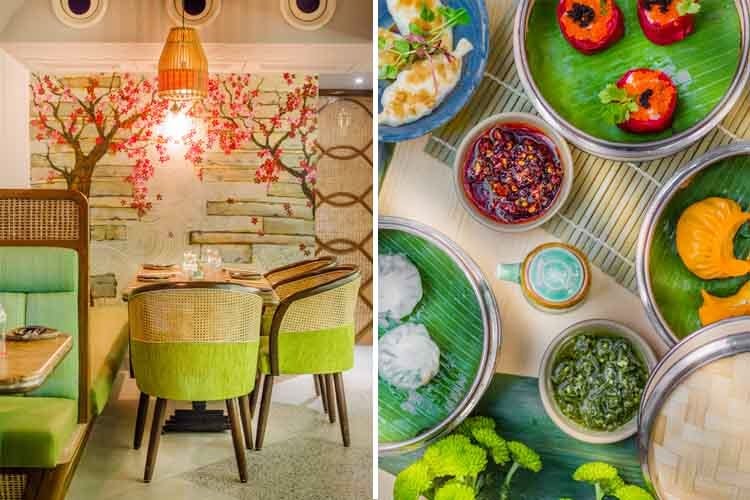 Their Grilled Rock Lobster, Exotic Vegetables & Soy Butter Garlic, the Chef’s Special Chiang Mai Curry, the Lemongrass Flat Noodles with Crunchy Monkey Nuts and the traditional Sakhoo Mapraw Oon is highly recommended. Curated by international beverage consultants, the drinks have been designed to complement the flavours and ingredients on the menu. Sip on favourites like Captain Obvious made with shochu, in house matcha tea liqueur and rice vinegar reduction or the Old Soul made with pandan leaf-infused sake, apricot gomme and topped with sparkling wine. You can also try Sakura, which is made with umeshu, sake and fresh lime topped with sparkling wine for a true Asian experience. Their larger than life cherry blossom artwork, the beautiful vaulted ceiling and two-toned terrazzo flooring make for a very warm, earthy and inviting ambience. The restaurant has opened on 10th January and you should definitely go check it out.